New rose for the rose arch, heavenly perfume, hope the others will still be there in the morning.......howling gales and torrential rain!! Hope this lovely rose does hang in there, DD2. We are taking a battering too, such a shame just when everything was doing so well. Hope they stay safe, my standard rose is getting soddened with all the rain, its not windy but the rain does rot them good luck with them. Love the colour of this - does it hold its colour, or go 'off' as it ages? Hi Bamboo it is a climber, new this year I will keep an eye on it and let you know how it goes, when it eventually stops raining, will take more pics for you to see the progress. have you? Where is it? 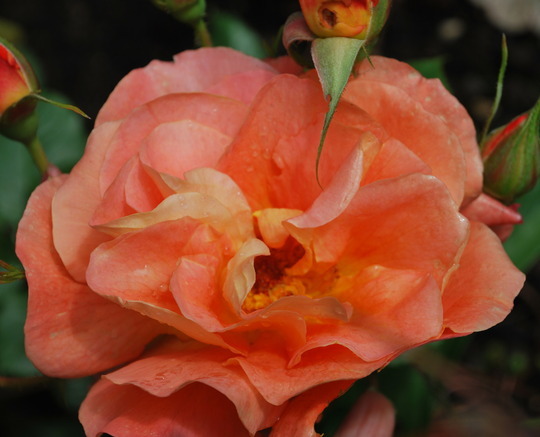 This photo is of species Rosa Westerland..
See who else has plants in genus Rosa.